Happy Wedding Cake Wednesday! 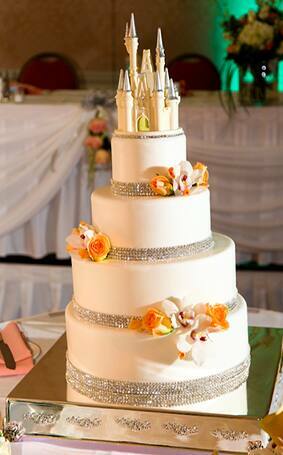 Today's stunning sweet treat features three of my favorite things - floral, sparkle and a castle! 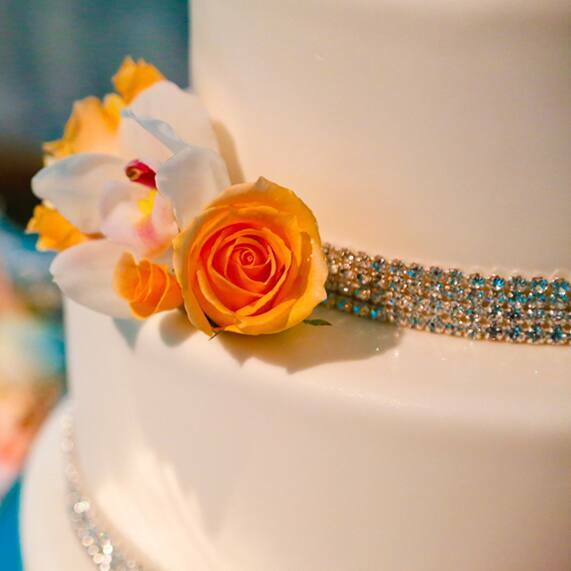 Each tier is marked with a band of rhinestones, adding elegance and just the right amount of shimmer. Orange roses and pink orchids adorn the bands on three of the tiers, giving the cake a sweet aura. 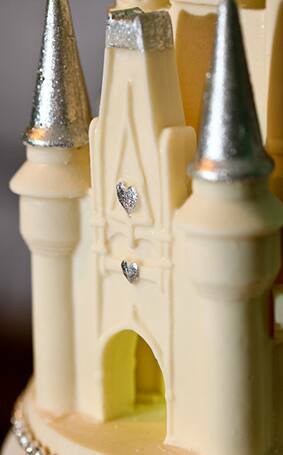 In a final touch of royal grandeur, the cake is adorned with an edible white chocolate castle topper. Placed on a silver stand, I'd say this cake is worthy of its place of honor. For more of my favorite Disney cakes and Wedding Cake Wednesday features, check out our Cake Inspiration Gallery.